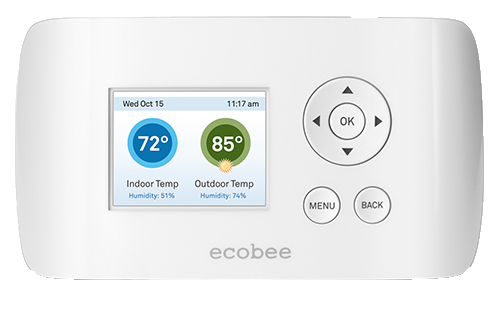 ecobee3, HomeKit-enabled Smart wi-fi thermostat with room sensor. 3.5" full-color LCD touchscreen, 320 x 480 pixel display with highly intuitive iconography and controls, just like your smartphone. Reads temperature in multiple locations solving for uneven temperatures in the rooms that matter most. The most cost-effective energy management system; Heating and cooling account for up to 63% of light-commercial energy usage. 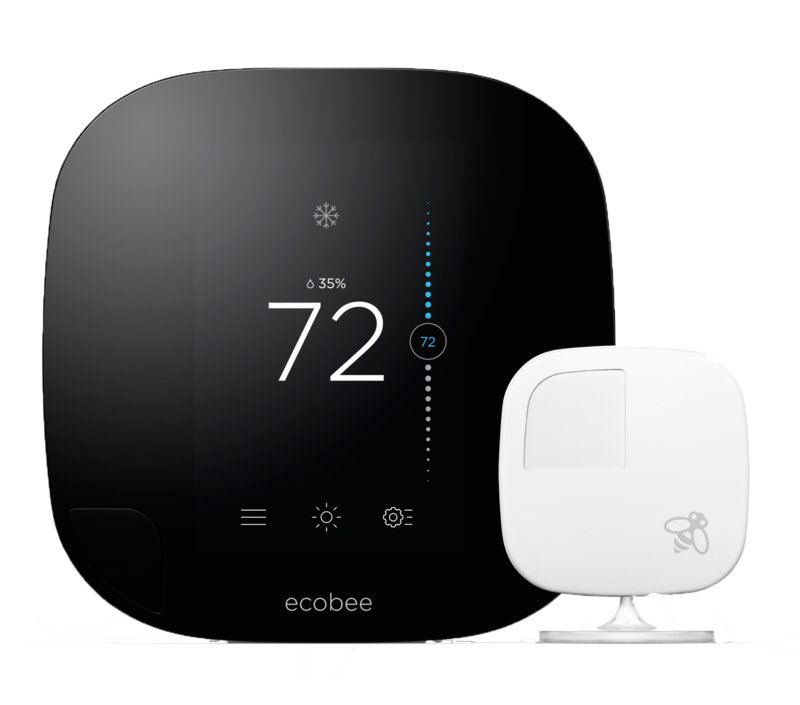 With ecobee, you can monitor and control your commercial building’s HVAC system and automate ancillary devices—all at a fraction of the price of a Building Automation System. With an average payback of less than one year, and no recurring fees - ecobee improves your bottom line year after year. Manage an unlimited number of thermostats, individually or as groups, across various locations with multiple users, all from a single web portal or smart phone app. 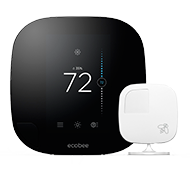 ecobee EMS Si helps you save energy and money in many ways. Our intelligent algorithms use thousands of data points to optimize for comfort when a building is occupied, and save energy when it’s not.